What would it be worth? My husband brought this fossil back from South Africa. I'm not sure what kind of egg it is, or what would it's value be. It is approx 12 cm long and 7.5 cm wide. Your comments/thoughts would be greatly appreciated. 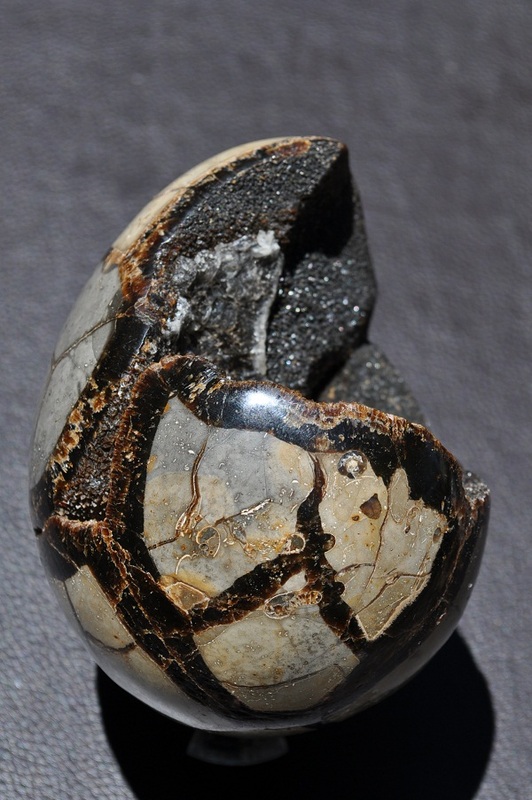 It was cut and polished from a septarian concretion. Very pretty. 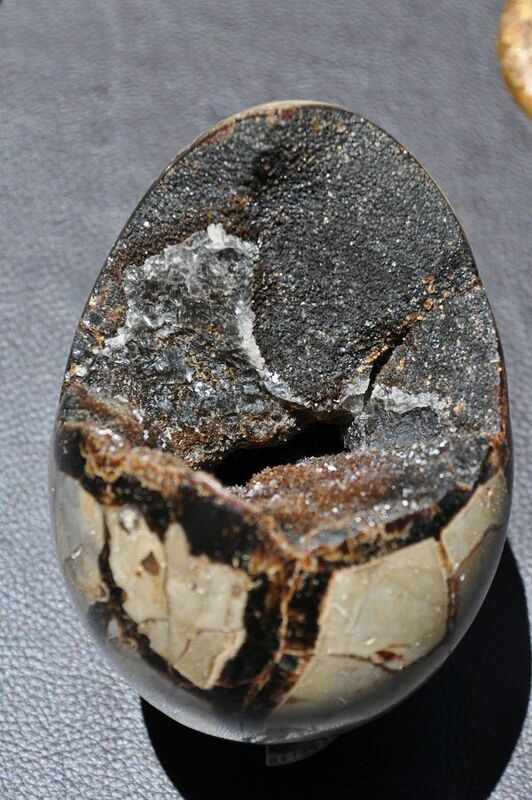 Looks like a septarian concretion. It's a beauty though. I agree. Not a dinosaur egg. 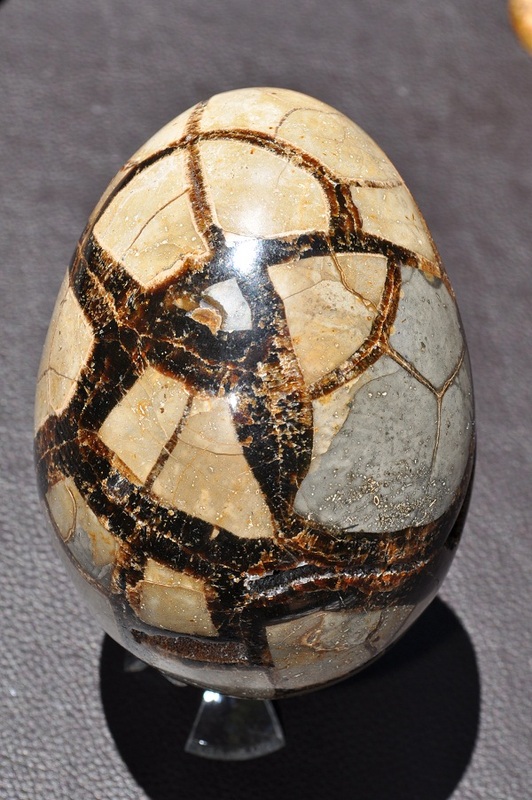 Link to Septarian Nodule Egg images.